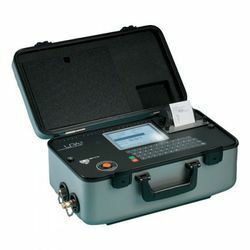 We offer most economical and reliable Offline Laser Particle Counters from Europe. These are easy to handle and very accurate instruments useful for industrial and laboratory applications. 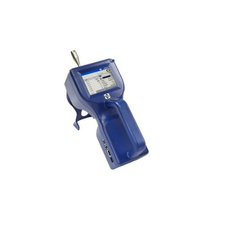 We offer compact particle monitor for continuous monitoring of the contamination in hydraulic fluids and lubricants, the output of the cleanliness class can be in accordance with either ISO, SAE or NAS. The TSI AEROTRAK™ Portable Particle Counters offer the most features and flexibility for customers interested in manually monitoring particle contamination at high flow rates. These particle counters can be used as stand-alone portable counters or can be integrated into a facility monitoring system. With the aid of our technologically advanced production unit, we are able to provide 4 in 1 Particle Counter with TFT Color LCD Display & Camera at economical prices. We are a trustworthy company of the industry, effectively engaged in Manufacturing, Supplying and Exporting supreme quality Laser Particle Monitor for our esteemed customers. The products offered by us have a distinguished place in the market, and available to the customers at attractive market prices.